How obesity leads to back pain? Back pain all over the globe is one of the most common aches. It is believed that nearly 80% adults suffer from back pain at least once in their lifetime. It is also a difficult symptom to analyze for an exact cause as so many conditions can lead to back pain. However, studies have are indicating that obesity is a risk factor for a chronic and debilitating back pain. Much like back pain, obesity has also become all too common, especially in developed nations. According to the American Obesity Society, about 64.5% of American adults are obese or overweight, which is an alarming statistics in itself.Obesity by itself is not a disease but can lead to many health issues such as diabetes, cardiac disorders, stroke, osteoarthritis, colon cancer, spinal stenosis, hypertension and several more. Both obesity and back pain make life difficult not just for the patients but also put strains on the healthcare system through added cost for managing chronic diseases. Back pain is also a leading cause of work-related absence. Back pain can affect any age group but is more prevalent between the ages of 30-35 years. According to the researchers, back pain is linked to how well our back muscles, bones, and ligaments function together. Acute back pains are not severe and sometimes disappear without any treatment. However, a chronic pain which is left untreated can seriously impact the quality of life. How can obesity impact our spine? Our spine is made of 33 vertebral bones, connected and aligned by the ligaments and muscles. The spine is the prime support of our body, which allows us to bend, twist, and stand upright. The spine is designed in such a way that it can carry the weight up to a certain limit. However, when you carry excess weight, it puts a strain on the spine, impacting its structural integrity and damaging the surrounding structures like nerves, tissues, and capsule. Low back or lumbar region is the most common part of the spine which gets affected by the obesity. So, to live an active life without back pain, it is vital to maintaining a proper body weight to keep the spine healthy. What is the relation between obesity and low back pain? 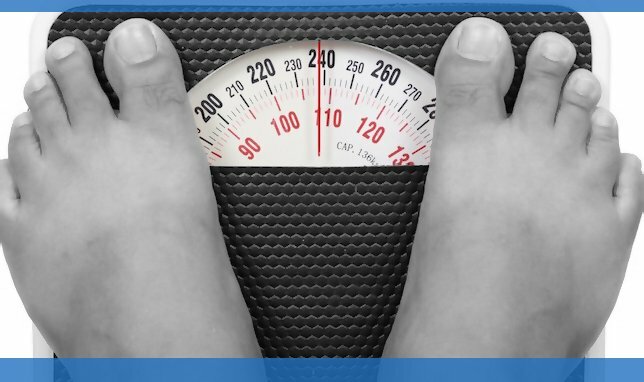 In some cases, BMI is not a perfect tool to measure obesity, because it does not assess the body fat. For example, an athlete or muscleman may have a high BMI, in spite of not having too much fat. However, according to many researchers, BMI is the standard method measuring body fats in the normal people. Apart from that, many clinicians also use BMI to screen the patients who are at higher risk for obesity-related diseases. In a study, the researchers were able to find the causal relationship between obesity and back pain. They discovered that the people with higher BMI were more likely to have low back pain. It means, overweight or obesity incredibly increases the risk of back pain. In another study, the researchers found that the obese people, who have low back pain, may have the highest level of inflammation. It is because of the change of the metabolic syndrome. Interestingly, some other researchers discovered that obesity could also impact the outcome of the treatments of the back pain. They found that conservative treatments and physiotherapy did not work well in the obese/overweight patients. Apart from that, the chances of the infection and revision surgeries are higher in the obese patient who underwent lumbar surgery. How is obesity linked to muscle weakness in lower back pain? Many orthopedists say that low back pain mainly occurs due to the muscular weakness, especially in the abdominal area, and the lack of flexibility in the legs and back. Usually, obese people are not physically active, because of their overweight condition. It results in the accumulation of the extra body fats and also restricts the range of motion around the joint areas. So, gradually, the muscles of the abdominal areas get replaced with the fat cells. Usually, the doctors prescribe physiotherapy and exercises to strengthen the abdominal and back muscles to increase joint flexibility, which helps to prevent and rehabilitate the severe type of low back pain. Maintaining the daily activities with tolerable limit can also contribute to achieving a faster recovery in acute back pain, instead of taking bed rest. Considering all the risks that obesity brings to an individual, it is important to figure out ways for gradually shedding those extra pounds through an approach that is sustainable. Obesity can happen due to many reasons, so it is important to check if any underlying cause such as hormonal imbalance or any other curable condition is causing you to put on the extra weight. With the help of a dietician, a diet can be planned which in combination with exercises can help you achieve an optimum weight and lead an active lifestyle. Back Pain, Spine Surgery back pain, back pain causes, back pain exercises, low, obesity. permalink.